What Does Your Birth Order Say About You? 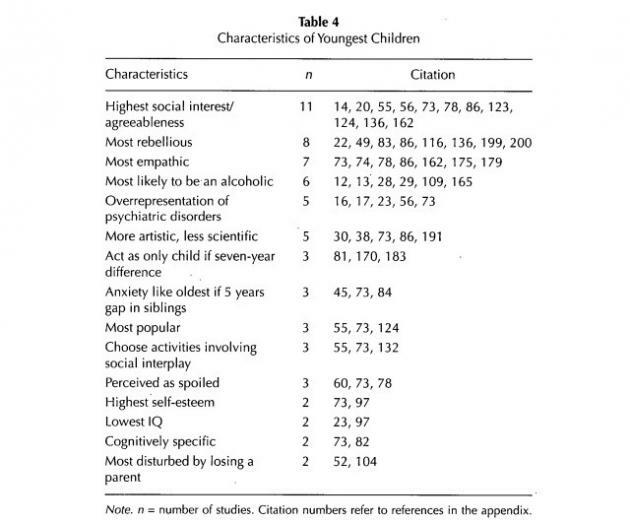 Birth order is an incredibly difficult area to study, and as such, is considered highly controversial. But that's not stopping scientists from studying the crap out of it. 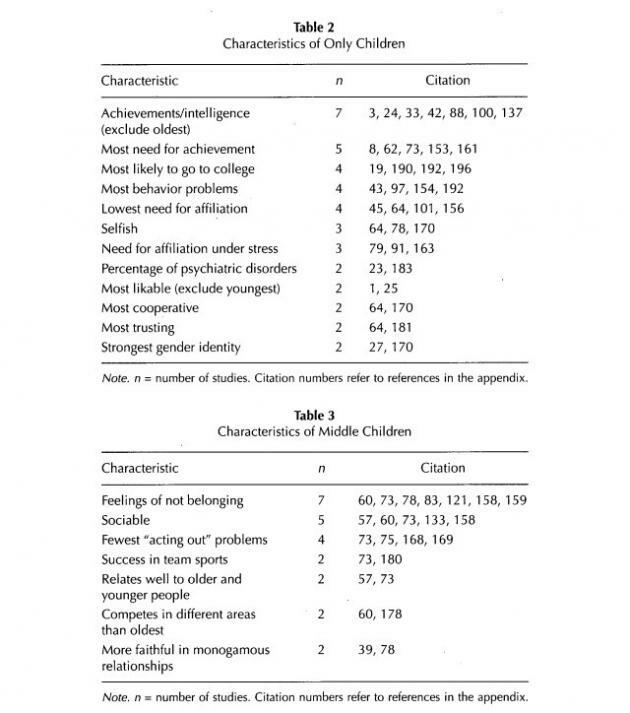 Back in 2010, researcher Daniel Eckstein and colleagues decided update a 1983 meta-study which was the results of 200 birth-order studies that attempted to find out if a person's personality could be determined by their birth order. 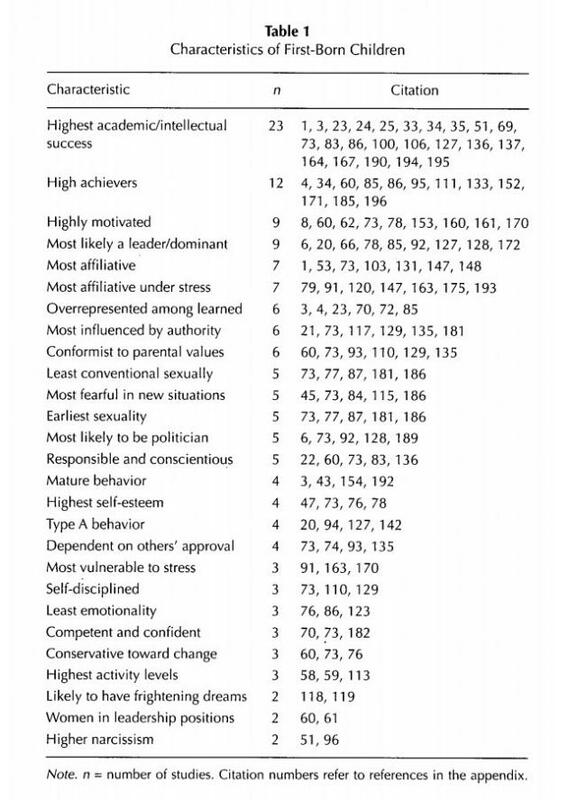 They discovered that certain personality characteristics were common traits found in specific birth ranks.